Brian Sullivan is a co-founder of Global Fishing Watch and Senior Program Manager for Google Earth Outreach. Brian is part of a broader team dedicated to leveraging and developing Google’s infrastructure to address global environmental, health & humanitarian issues. Projects generally develop deep partnerships, focus on data driven approaches and visualizations at scale to bring additional transparency or create new tools to understand system dynamics and better inform decision making. As part of Google’s “in-kind technology philanthropy,” Brian manages external partner relationships and internal Google collaborations to identifying and accelerate initiatives in machine learning, large scale analytics, and remote sensing with an impact focus. His partnerships experience spans academic and research organizations, NGOs, UN agencies, government / policy, philanthropy, and the private sector as well as a frequent conference speaker and project advocate. 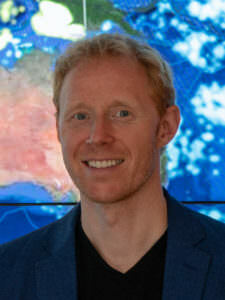 As a co-founder of Global Fishing Watch, ocean conservation and awareness have always been important to him as he continues to explore ocean foraging, free and scuba diving, and volunteers for data monitoring programs with Reef Check, California Fish & Wildlife and various research institutions. Earlier in his career, Brian focused on business intelligence and strategic partnerships at Google, served as a management consultant in financial services, and managed digital divide programs in West Africa. He holds a bachelor and master’s degree in engineering from the University of Pennsylvania. His love of technology is tempered with the opposing and complementary need to spend time in nature.